Football is just a smashing hit no matter which country you consider. Why? Because the fan base is just super cool. They not only care about watching the sport, they are more interested in getting to learn the sport and practice it. There are a lot of kids who are eagerly interested in taking up Football as a career. So if you have one such enthusiastic kid, it is always better to start training early in life as this would strengthen and nurture the skills. 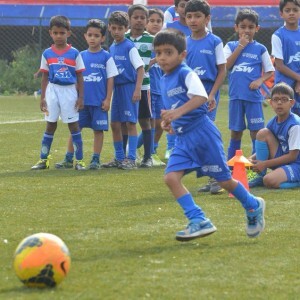 If you are based out of Bangalore and you are looking for the best Football coaching academies in the city, then we are here to guide you through this. You are precisely looking at an organization which not only looks at Football as a sport but as a tool which brings about a difference in the society. 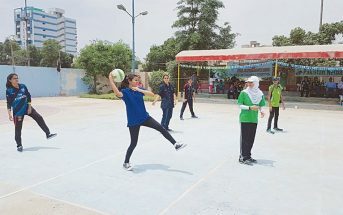 In this academy, they teach the kids about life skills in Football as to how they can be applied day-to-day and influence a positive change in the society. They help kids in character building and mould them into not just talented footballers but impeccable humans. Sparky Football coaching is being conducted by the renowned Indian Freestyler, Tejas R who also conducts special Freestyle coaching. Contribute to a change by enrolling your kids here. 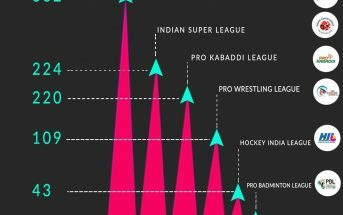 SPT Sports Academy conducts its training at two different venues in Bangalore: Smash & Sprint, Kudlu Gate and SPT Sports Academy at Sarjapur road. 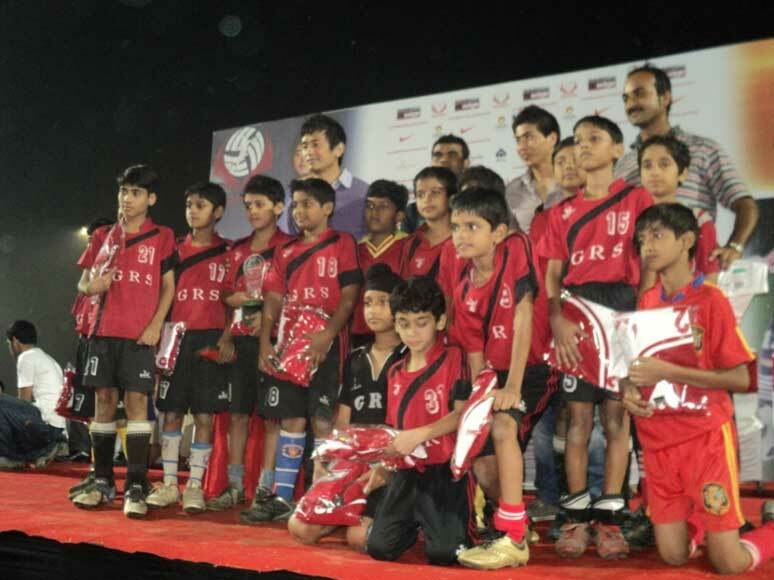 They train the kids effectively and give them exposure to participate in competitions. They give training for kids from the age of 5 till 15 and they charge around Rs. 2500 bucks per month. The kids are coached by Javier Cabrera. The Bengaluru FC Soccer Schools was first started in the year 2014 at Bellandur and has now spread out into 5 centres across the city. Right now they have coaching centres established at Clearance high school playground (Sarvagnagar), Play mania (Bellandur), XLR8 Indoor Sports Arena (Hennur road), Purva Fountain Square (Marathahalli) and The Gamechanger (Mathikere). 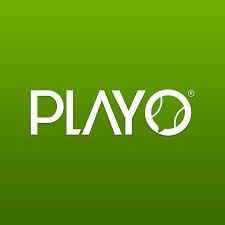 They have four coaches – Matt Holland, Vinod Maran, Shivamani E and Raju S. They charge Rs. 3000 for coaching and Rs. 1500 as registration fee. Ever wanted your kid to be trained under world-class coaches and infrastructure? 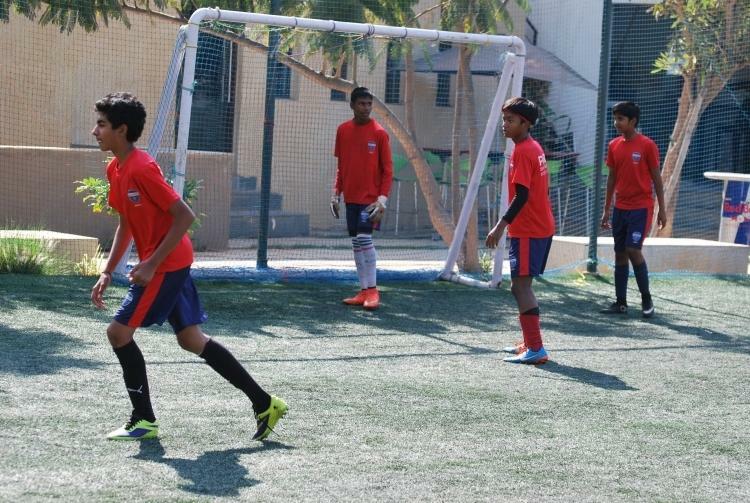 The Paris Saint-Germain Football club has made it to Bangalore opening its own academy to coach kids and mould them into future stars. They have one of the best training programs in India with great coaching modules organizing competitions for kids from time to time. Every coaching session extends up to 1.5 hours. They provide pick and drop, parking, cafeteria and washrooms. They charge around 15000 bucks for 22 sessions and a one-time registration fee of 3500 which also includes the kit. The main aim of Bhaichung Bhutia Football Schools is to motivate young Indian stars into taking up Football with the utmost confidence of shining and doing well in the international circuit. They offer the right kind of assistance and training that will help little ones to succeed in the sport. With the latest coaching methodologies, BBFS helps out these budding Football enthusiasts improve their skills. They offer coaching for the age group of 4 – 15 years at 4 centres in Bangalore – Sportzbase (Electronic city), Tiger 5 (Manyata Tech Park, Hebbal), ITI Layout (HSR layout) and TurfPark (Koramangala). Finding a coaching academy for kids is super easy but if you are looking for a coaching spot for the adults, then Sporthood gives you what you exactly need. Sporthood’s main idea is to encourage fitness through sports and they want more people to take up Football to stay in good shape. You can head out to any of these Sporthood centres located across Bangalore to enrol yourself in this program : Sportzbase (Electronic city), Tiger 5 (Manyata Tech Park, Hebbal), ITI Layout (HSR layout), TurfPark (Koramangala), Active Arena (Marathahalli), PLaY arena (Sarjapur), Magnum Arena (Sarjapur road) and Powerplay sports 2 (Hoodi). For more details about these football academies, download the PLAYO app on your phone navigate to Football coaching under the “Explore” section.